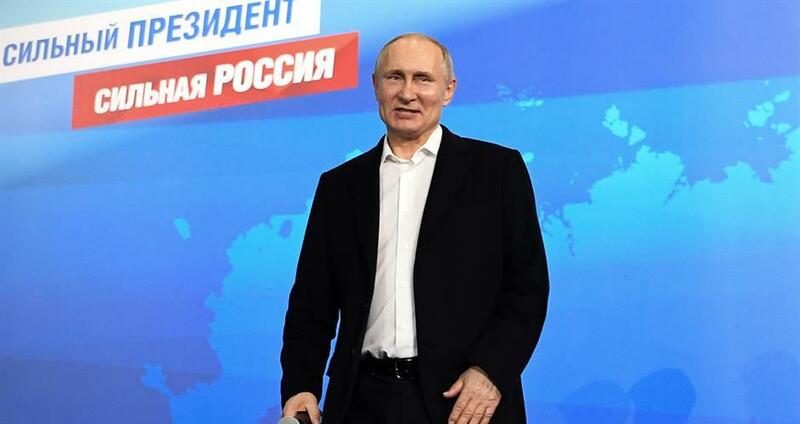 Incumbent Russian leader Vladimir Putin has secured a landslide victory in the presidential election with over 99% of the ballots counted. 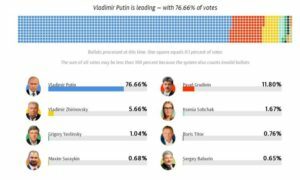 Vladimir Putin is now leading with 76,6 percent of the vote, well above the simple majority needed to avoid a run-off, Ella Pamfilova, head of the Russian Central Election Commission. Pamfilova announced the preliminary results during a news conference on Monday morning. 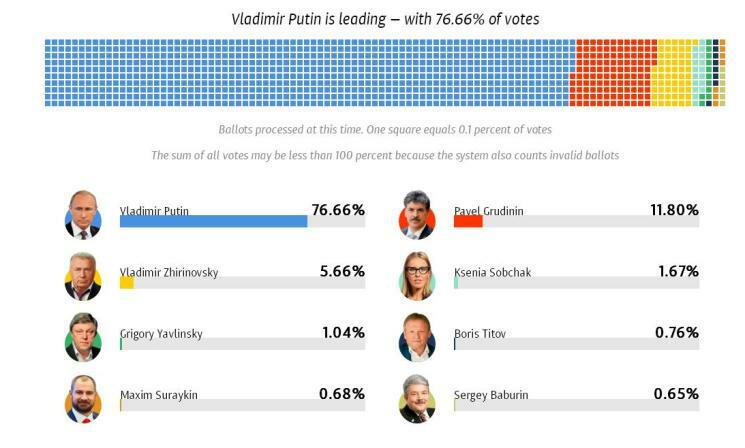 With 99.83 percent of the vote counted, first-time Communist Party candidate Pavel Grudinin is running second with 11.9 percent. Heavyweight nationalist politician Vladimir Zhirinovsky, who first ran against Boris Yeltsin in 1991, rounds out the top three with 5.66 percent. The Central Elections Commission (CEC) has now 10 days to tally the final vote, Pamfilova announced. Pamfilova has said that there were no major violations during the vote, and that only “minor and local complaints” were received.